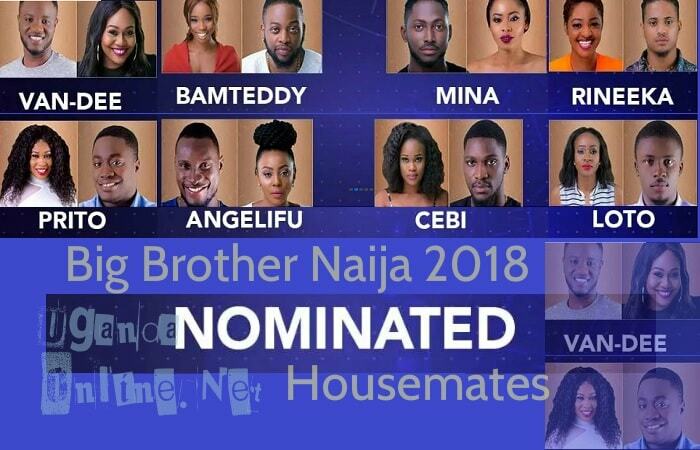 All is not well for Cee-C after her lover boy, Tobi failed to save her, she is now in the hands of fans who will determine if she continues to play the game or she packs her bags to leave the Big Brother house. 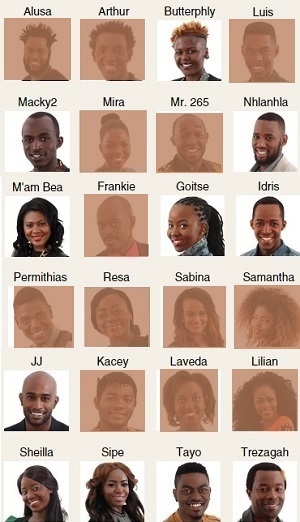 The other housemates on the chopping block are Ahneeka and Angel going by their Gelah pair name, Leo and Ifu also known by their LIFU pair name. 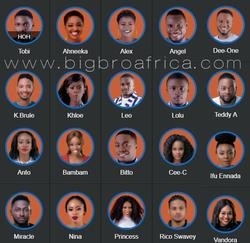 Big Brother has shuffled the pairs in yet another Double Wahala move that has since left the fans complaining. 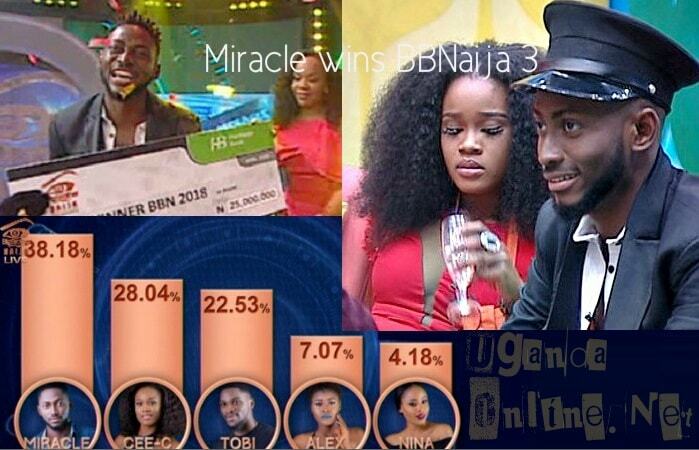 A case in point, Miracle and Nina were playing the game so well, in fact, they came out of the last eviction show as the best polling 25.8% of the total votes. Miracle and Nina have been compatible from day one that they even kissed on the first day in the house, it' no wonder that Miracle took her on from behind in the wee hours of Sunday morning and Monday night, her good night kiss left many in shock. 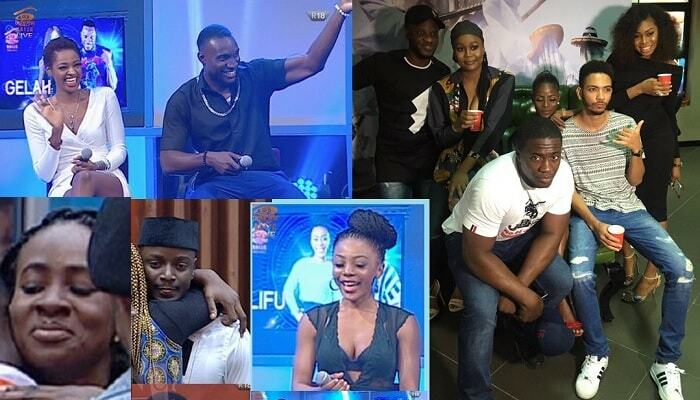 In the above pic, Nina was in tears and very upset with what Big Brother had done. Miracle has now been partnered with Anto. It should be noted that if Miracle was not with Nina, he was supposed to be with Anto something that left Nina very uncomfortable that she is following every move they make. 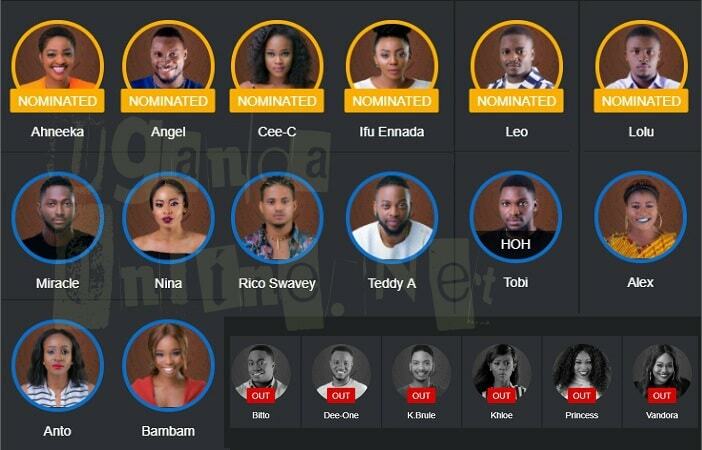 Miracle still has a good game going for him as he is this weeks' Head of House, unfortunately, now that they are playing the game as pairs, he will enjoy those privileges with Anto and not with Nina something that has left her deflated as you can see in the above pic. Tobi was the first Head of House for two weeks in a row followed by Khloe who unfortunately was disqualified together with her partner K Brule and this week, Miracle is the new Head of House after beating Ifu Ennada, Ahneeka and Leo in the Head of House challenge task. 1. Miracle and Anto (MITO). 3. Angel and Ahneeka (GELAH). 6. 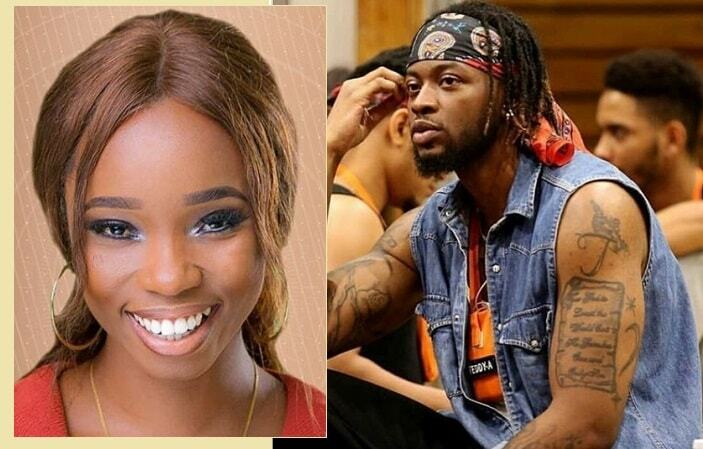 Nina and Teddy A - TENA. 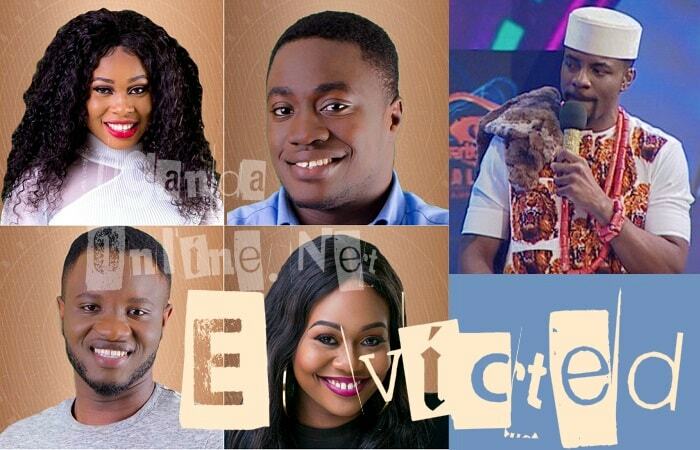 The house has twenty housemates in total and 16 are up for eviction, we will start with the four who are not up for eviction. Khloe is the current Head of House and she is playing the game with K-Brulle under the #DoubleWahala arrangement.